Certain bureau in East China applied the mobile terminal partial discharge online monitoring system to short-term online monitoring of the terminals with suspected partial discharge in 2014. The system is powered by solar energy or batteries and supports 3G wireless communication. High-frequency CT sensor shall be installed in the joint well or the joint box while other devices shall be installed in the chassis. 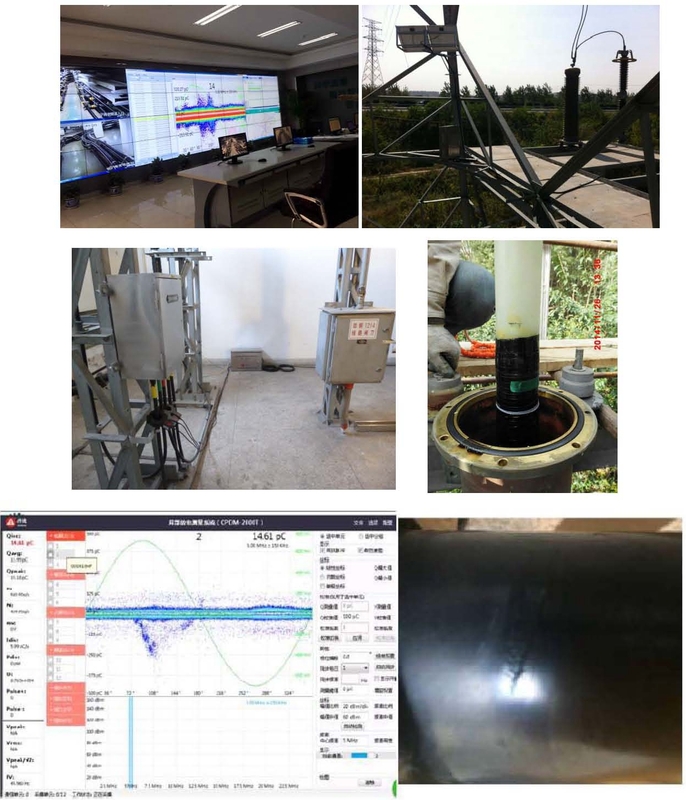 3G wireless network will transmit all partial discharge signals of the collectors to the monitoring host of the integrated control center to achieve real-time monitoring of cable partial discharge on the supervisory control computer. The system detects three terminal joint defects after half a year which have been dissected and verified.